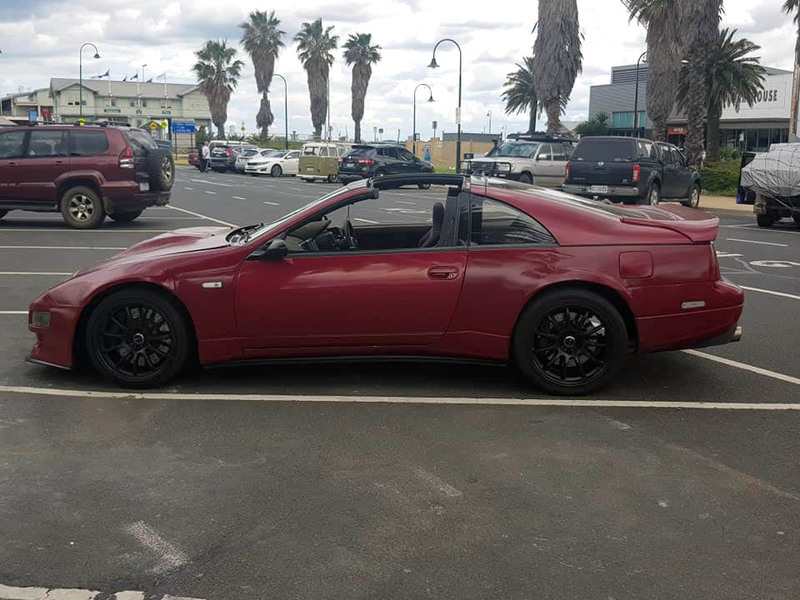 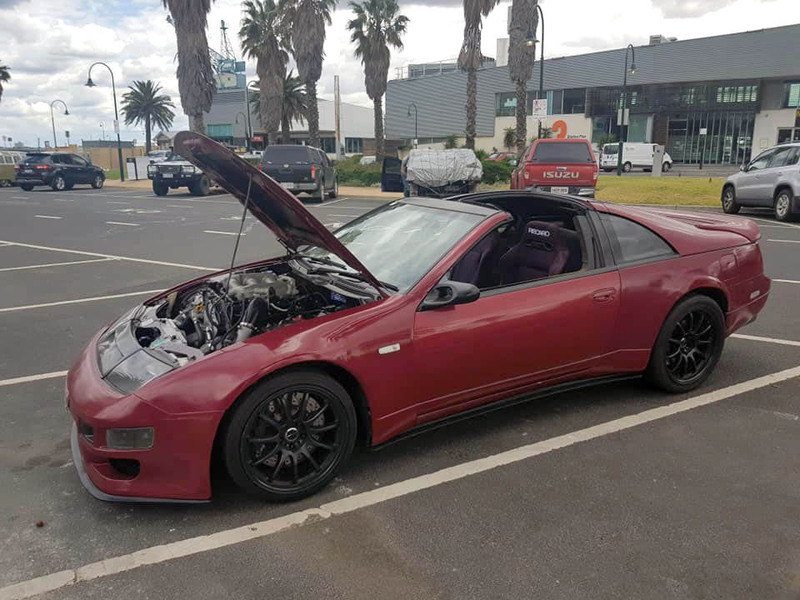 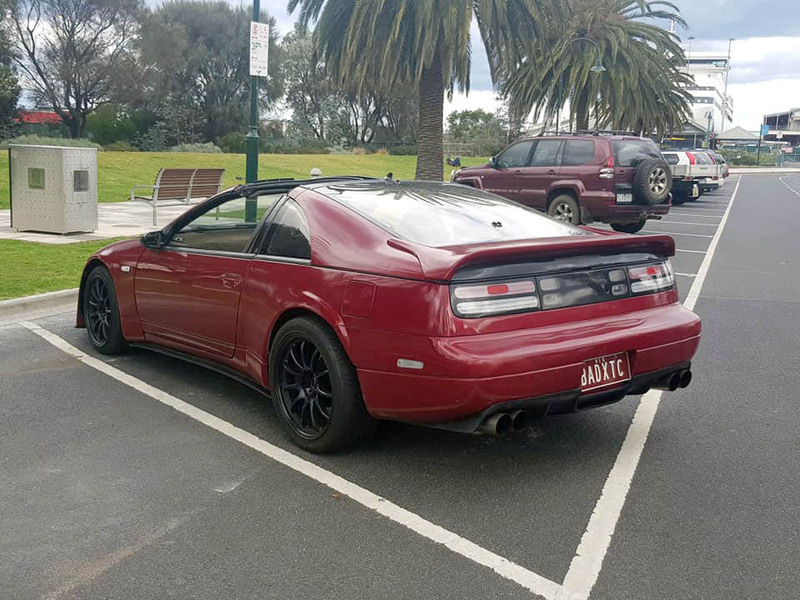 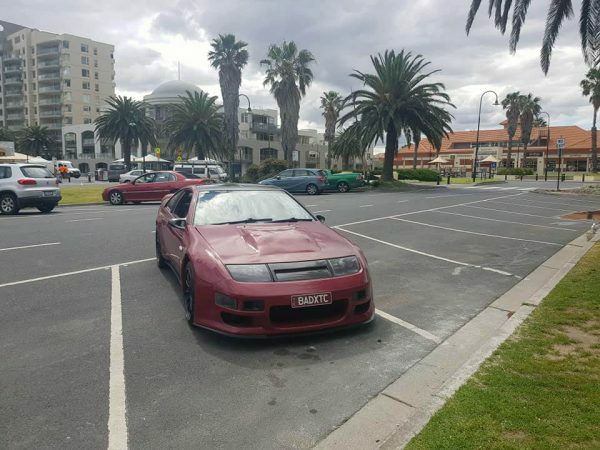 This Nissan 300ZX TT (Z32) is owned and built by Alex Hiotellis in Victoria, Australia. 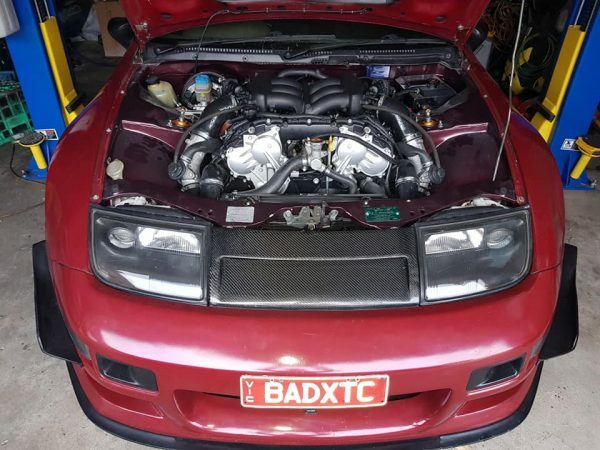 Under the hood sits a twin-turbo VR38DETT V6 from a 2012 Nissan GT-R controlled by a Syvecs ECU. 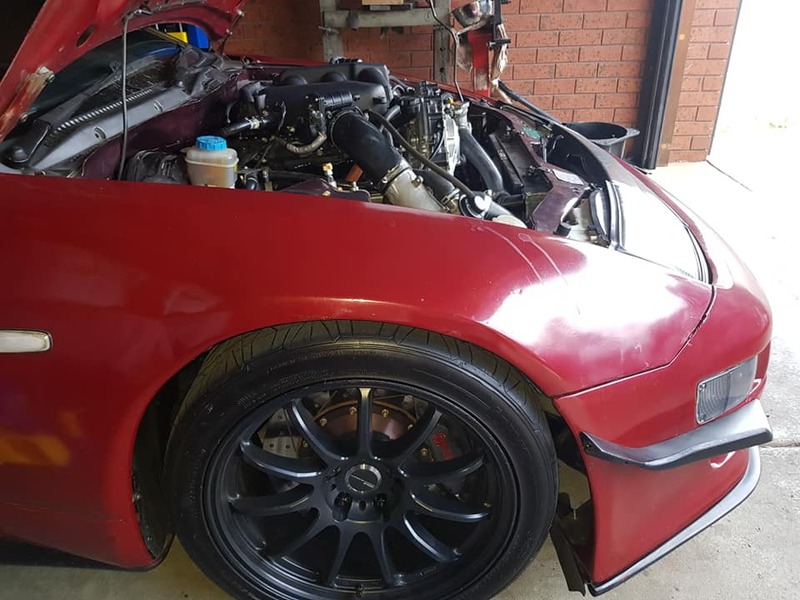 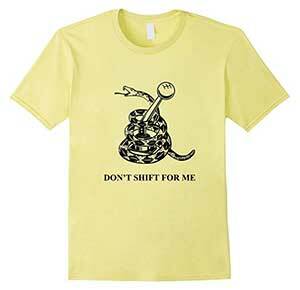 The engine makes 624 horsepower (465 kW) and 850 Nm (626 lb-ft) of torque on 17 psi of boost and E85 fuel. 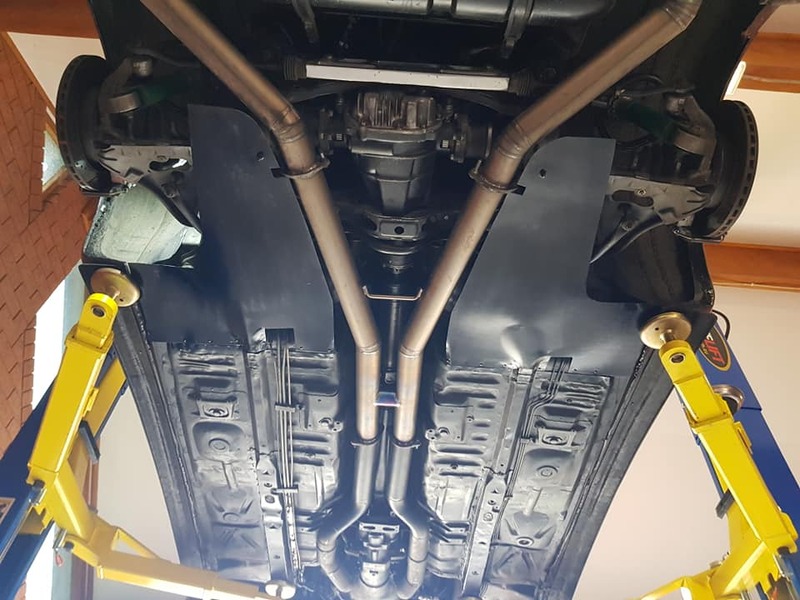 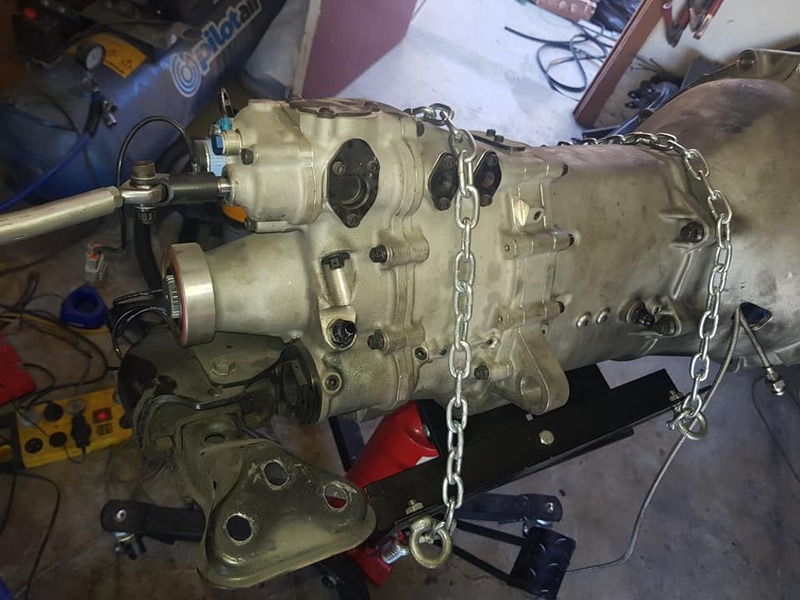 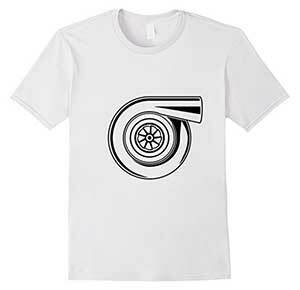 The drivetrain consists of a Holinger RD6 six-speed transmission with a Tilton 7.25-inch OT-II clutch connected to the factory 300ZX TT differential. 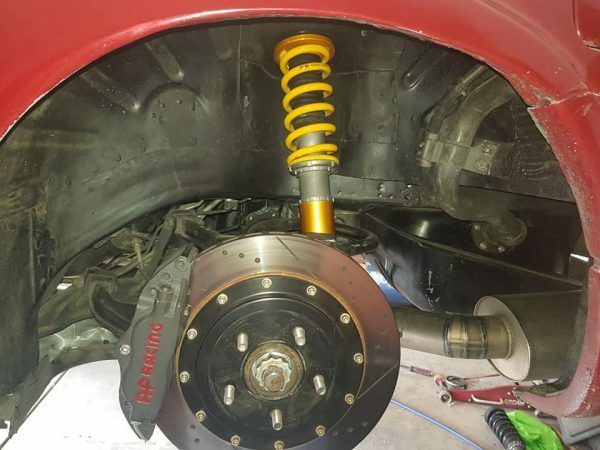 The coupe rides on Öhlins DFV coilovers, GKTech adjustable rear lower control arms, and AP Racing brakes. 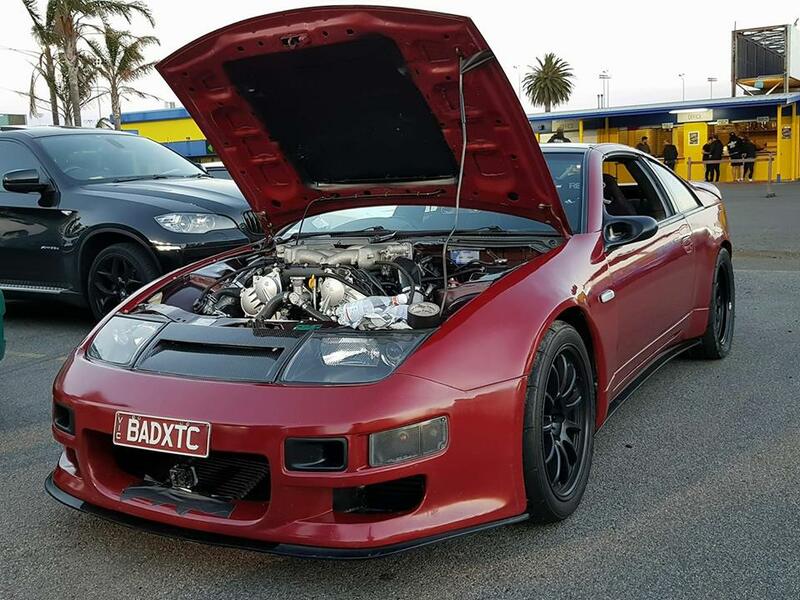 Alex’s best quarter-mile is 10.138 sec at 140.63 mph with the goal of reaching the 9’s very soon. 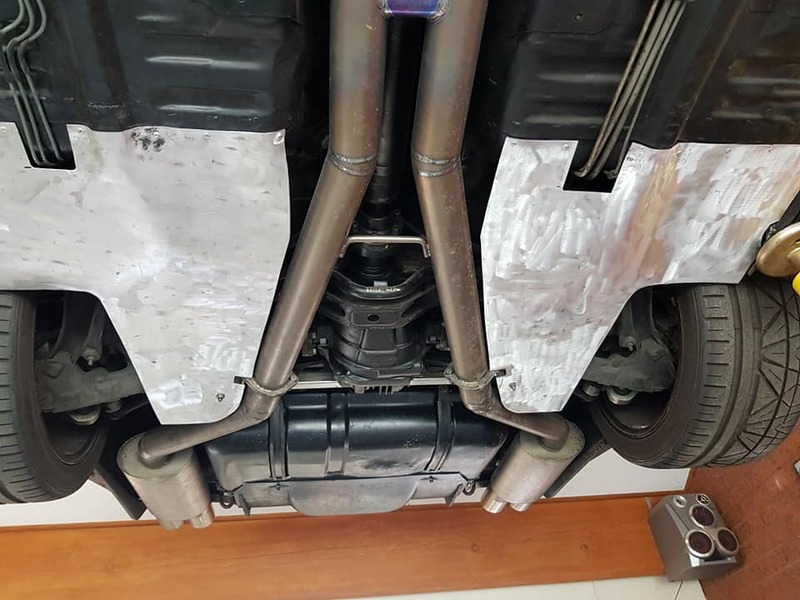 To give you an idea of Alex’s future plans with the car, he wants to build a rear end capable of withstanding 1,500 horsepower.